If you are searching for a high quality dental office for your family, then it can be an overwhelming decision to pull up the listings of local dentist offices and try to decide which dentist is the best fit. There are many options to choose from, and you should take the time that you need to find the right dentist to match your individual needs. Many patients choose Dr. Ali’s office because they want to visit a dentist offering comprehensive dental services. All of the dental needs of your family can be handled in one convenient location. Dr. Ali is always available to answer your questions and will gladly help you put together a comprehensive dental care plan. When you meet Dr. Ali, you will find him to be dedicated to providing each of his patients with the highest quality services that are available in the dental industry. It isn’t difficult to see why Dr. Ali is loved by so many of his patients; he has a pleasing personality and cares about each patient that he works with. His agreeable personality, combined with his many years of training and experience encourages a positive experience and outcome for his patients. At Sky Dental, your satisfaction is our top priority. 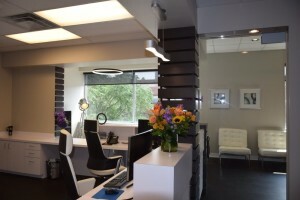 We want to make sure that you are completely satisfied with the quality of services that you receive when you visit our office, and we are dedicated to providing you high quality dental care. Call us anytime if you have questions about the dental services that are available, and we will gladly answer your questions and help with anything that you need. Our staff is experienced with all types of dental care and we can help you create a beautiful, healthy smile. We offer basic dentistry, as well as cosmetic solutions to help you transform your smile and boost your confidence at the same time. We invite you to contact our office to schedule an appointment.